IBC is the leading global tradeshow for professionals engaged in the creation, management and delivery of broadcasting media and entertainment. At the beginning of September each year, over 70,000 television professionals, video and digital film specialists and TV managers meet at Amsterdam RAI for the annual IBC Exhibition of equipment and IBC Conference about the new trends, business ideas and technology solutions. Here are some of the standout announcements from the showroom floor. 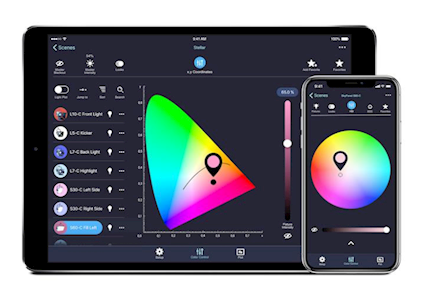 Stellar reimagines light control by automatically managing complex DMX settings and by featuring control interfaces with stunning graphic design. Stellar is the perfect app to quickly and easily control ARRI lights while on set. Whether a large film with many scenes and setups or a small project with just a few fixtures, Stellar is built to work in all scenarios. Coded intelligence and advanced communication make connecting ARRI SkyPanel and L-Series fixtures to the app simple and straightforward. After using Stellar, it will be difficult to go back to controlling lights in any other way. 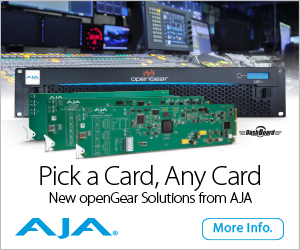 AJA has announced new tools and updates that optimize the creation and delivery of multi-format content, allowing professionals to embrace the latest 12G-SDI and HDMI 2.0 technology, as well as emerging IP and HDR standards and formats. 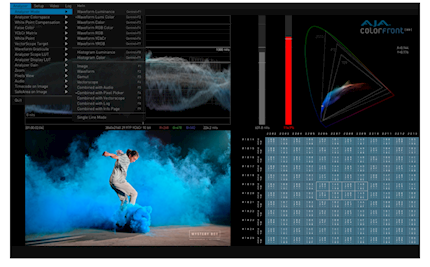 From KONA 5 with 12G-SDI I/O and the IPR-10G2-HDMI and IPR-10G2-SDI SMPTE ST 2110 receivers, to the HDR Image Analyzer, AJAs latest developments address the dynamic needs of production, post, broadcast, streaming and AV professionals. The company also announced updates for its KONA, Io and T-TAP I/O products, FS-HDR converter, Ki Pro Ultra Plus digital recorder and player, and HELO for H.264 streaming and recording. Leitz’s first preview is a set of 12 prime lenses scheduled for delivery in early 2020. Developed for full frame/VistaVision formats, the set ranges from 18 mm to 180 mm and features a T1.8 aperture. 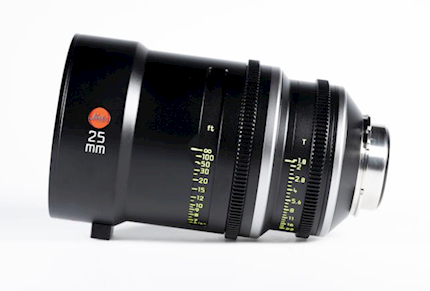 The second preview from Leitz is a new class of zoom lenses slated for delivery in late 2019. The zooms are also designed for full frame/VistaVision coverage. The wider zoom is 25-75 mm and the longer one is 55 mm-125 mm. Both feature a consistent T2.8 aperture with no ramping throughout the range. The new lenses represent Leitz’s commitment to artistry and craftsmanship with expanded coverage for larger formats. 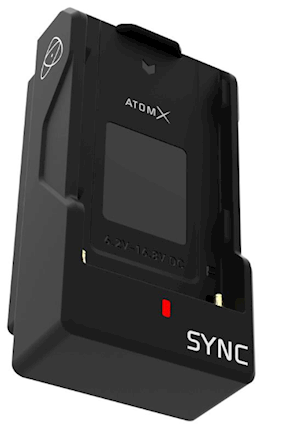 Costing just $149 US the new Atomos AtomX Sync module for the Ninja V monitor recorder brings professional, long range, wireless timecode and genlock to any HDMI source, including DSLRs and mirrorless cameras. There is also simultaneous Bluetooth connectivity for Ninja V app control, and additional sync functionality using Bluetooth to any compatible video, audio device or smartphone app. 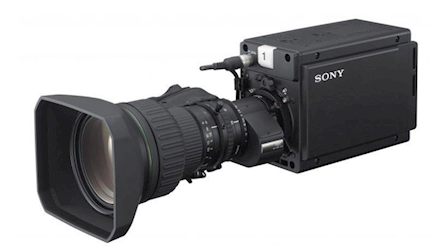 Sony launches four new 4K/HD HDR system cameras, including the world’s first 2/3-inch 4K global shutter three CMOS sensor system and a new Camera Control Unit featuring Fiber and Triax inputs and IP output capability. Sony’s four new live production system cameras further expand and evolve Sony’s HDC family, which is widely used by broadcasters and media companies across the globe. The next generation of system cameras (HDC-P50, HDC-3500) feature the world’s first 2/3-inch 4K global shutter three CMOS sensor system, and the newly developed global shutter HD HDR optical block (HDC-3100/HDC-3170). The new cameras offer content creators unprecedented flexibility and Sony’s legendary reliability, in addition to the uncompromised, premium picture quality producers expect from Sony solutions.